Robert Greey was a Captain with the Eastern Telegraph Company, who commanded a number of cable ships including C.S “Electra”, which involved laying cables in connection with the failed campaign at Gallipoli in 1915. He died of heart failure in Falmouth harbour. Robert Greey was born on 11 April 1857 in the Newington area of south London. He was the youngest of three children born to James Greey (1809–1892) and his second wife Harriet née Breeze (1813–1896). James, a bank clerk, was first married to Mary Walker (1813–1847) with whom he had three children, although only the second child, Mary, survived past infancy. The first child, James, died in 1839 aged 5 while the third child, Ellen, died a few days after her mother in July 1847, aged 7 months. James re-married to Harriet Breeze on 8 March 1851 in St Mary’s Church, Lambeth. Harriet’s first son, Walter died in February 1854 aged 14 months but happily her next two children, Harriet (born in 1853) and Robert both survived into adulthood. While Robert was a child, the family lived in Church Street, Camberwell. 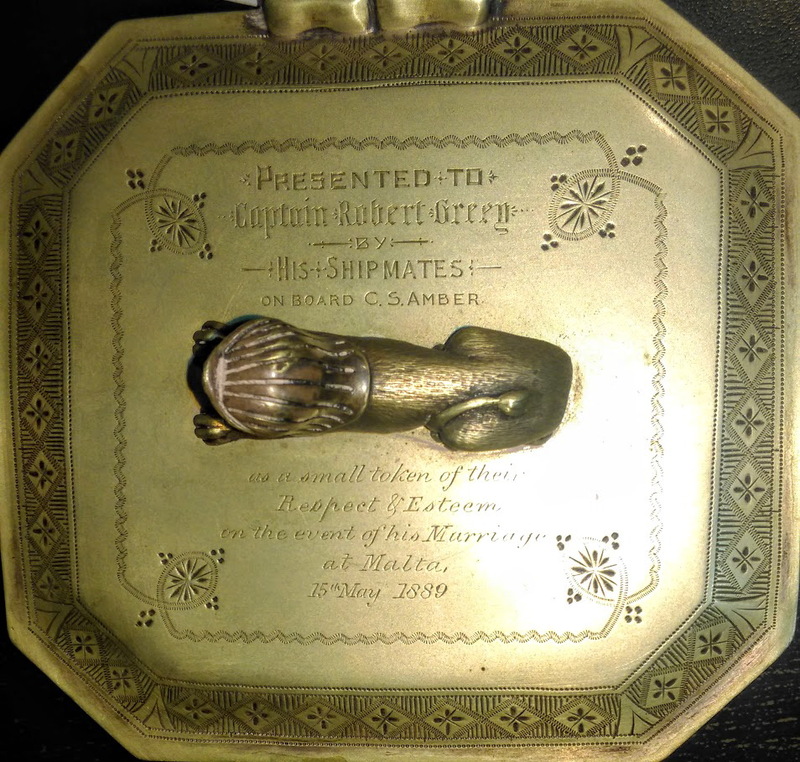 Robert’s career in the Merchant Navy took him to the Mediterranean where he met Antoinette Clarissa Marie Louise Sprague, who had been born in Gibraltar in May 1863. Her father, Horatio Jones Sprague (1823–1901) had succeeded his father (also Horatio) as the American consul to Gibraltar. He in turn was succeeded by his son, Richard Louis Sprague. On the death of Richard, the Spragues, father, son and grandson, had served as US Consuls to Gibraltar from 1832 to 1936, thus setting a record (which is still standing) for one family holding such a post consecutively. 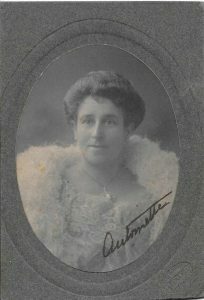 Robert and Antoinette were married in Valetta, Malta on 15 May 1889. The couple had four daughters: Antoinette (who died as a child), Evelyn Gladys (born on 20 March 1892 at Valetta), Gertrude Constance (born 8 September 1893, also at Valetta) and Delphine Marie (born 2 May 1896 at Eastbourne in Sussex). On 11 October 1879, Robert Greey, aged 23, was initiated into Caveac Lodge No 176, meeting at the Albion Tavern, Aldersgate Street in the City of London. 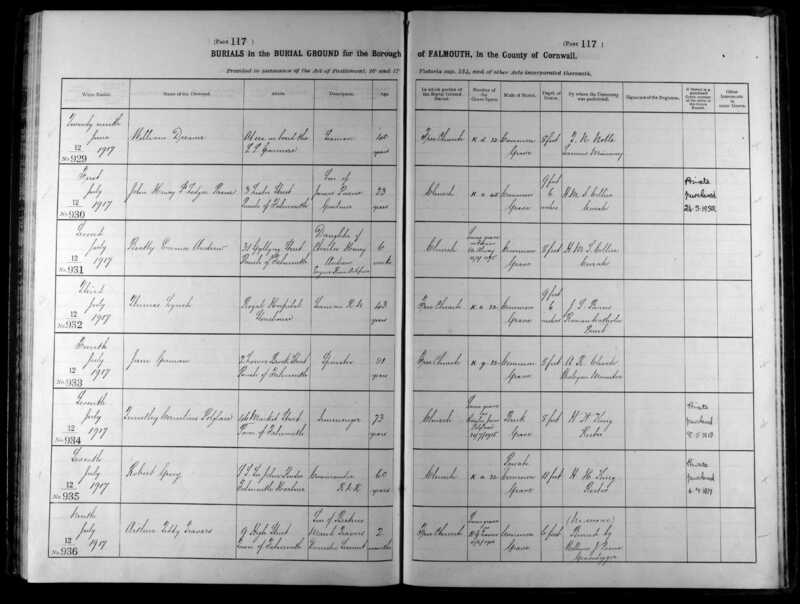 His occupation was recorded as “Egyptian Civil Service”Note 1 and his address “C/O P.A. Nairne, 3 Crosby Square”. Robert was passed to the second degree on 8 November and raised to the degree of master mason on 13 December 1879. Robert remained a member of the lodge until his death in 1917. The worshipful master of Caveac Lodge in 1879 was Walter Neumegen, described as a “gentleman”, who had himself only been initiated into the lodge in 1873. P.A. Nairne, later Sir Percival Alleyne Nairne, was a solicitor who served the lodge as worshipful master in 1868 and 1874 and as treasurer from 1877 to 1881 and again from 1885 to 1904. He was later named as one of the executors of Robert Greey’s will. Following his marriage, Robert joined St John & St Paul Lodge No 349, meeting in Valetta, Malta on 16 December 1889. Four years later, on 20 July 1893, he joined the newly consecrated Telegraph Cable Lodge No 2470, meeting at the Ship & Turtle Tavern, Leadenhall Street, London. On 10 January 1896, he joined his fourth lodge, Hartington Lodge No 916 of Eastbourne in Sussex, where he was installed as worshipful master in 1903. 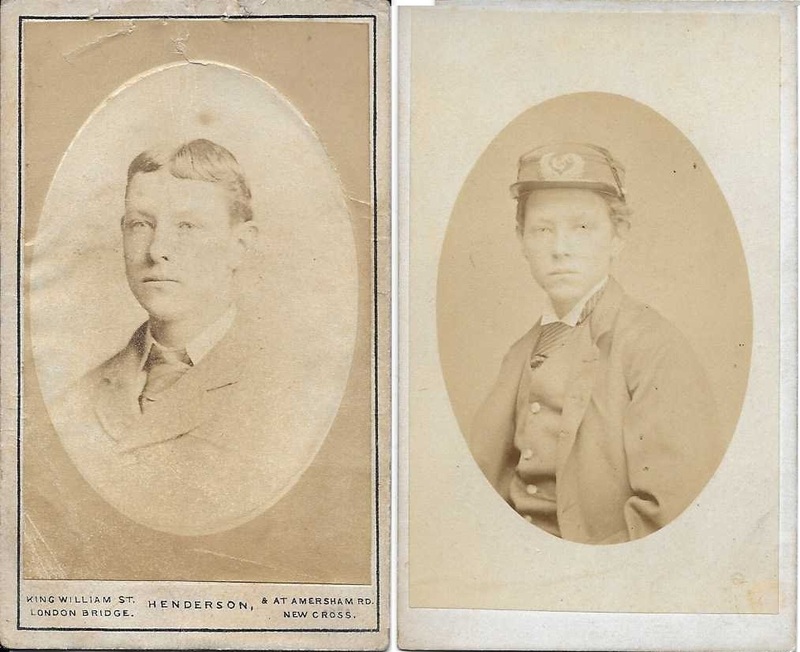 On 23 August 1873, aged 16, Robert was indentured into the Merchant Navy for four years with Trinder & Co of London. He was first employed by the Eastern Telegraph Company in 1879, and remained with the company until he died in 1917. 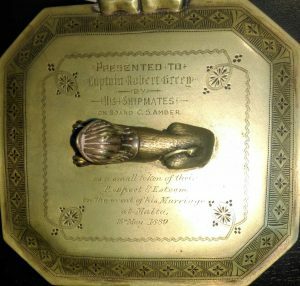 He obtained his Board of Trade Certificate of Competency as First Mate on 21 March 1883 and as “Master of a Foreign-Going Steamship” on 13 August 1885. He joined the Eastern Telegraph Company’s CS Great Northern as 3rd Officer in December 1879 and was promoted to 2nd Officer on 2 July 1882, becoming Chief Officer in June 1883. He was transferred to the Cable Ship Mirror in January 1888 at a salary of £16 per month. In 1888, Robert was admitted as an Associate of the Society of Telegraph Engineers, UK (later to become the Institution of Electrical Engineers). 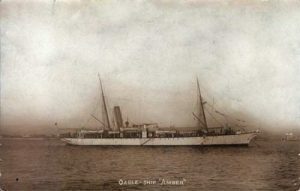 On 1 February 1888, he obtained his first command, on Cable Ship Amber, at a salary of £300 per annum. CS Amber (1,043 tonnes) was built in 1888 by Napier & Sons, Glasgow and spent much of its early career laying cables to the Greek islands. In Malta in 1889, he was a member of the Board of Trade enquiry into the wreck of SS Carl Rahtkens off the North African coast. In 1891, in Gibraltar, he served on the Marine Court’s investigation into the wreck of SS Utopia. On 1 September 1892, he was appointed a Lieutenant in the Royal Naval Reserve. The Royal Naval Reserve (RNR) had been created in 1859 as a reserve of professional seamen from the British Merchant Navy and fishing fleets, who would undertake annual training in gunnery etc. with the Royal Navy and be called out for service in the fleet in time of war. His first training course was a gunnery course at HMS Victoria in Malta in April and May 1893, which he completed satisfactorily. 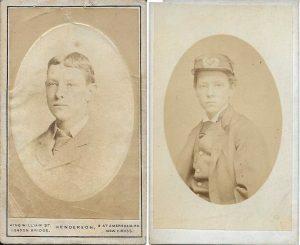 Between October and December 1894, he undertook a 28 day course at HMS Vernon in Gunnery which he completed “with sobriety and satisfactorily” with the commendation “specially suited in manner required for service in the fleet”. This was followed by a Torpedo course at HMS Excellent in March 1895 where his conduct earned him high praise: “Intelligent and hard working. VG manner and appearance as an officer. Highly Recommended”. (Captain (later Admiral Sir) Archibald Lucius Douglas) Further training followed in March and July 1896 at HMS President and in July and September 1899 at HMS Devastation. On 24 October 1897, he was authorised by the Admiralty to fly the Blue Ensign as the new master of Cable Ship Electra. From 1864, the Blue Ensign was permitted to be flown, instead of the Red Ensign, by British merchant vessels under the command of an officer of the Royal Naval Reserve in possession of a Government warrant. CS Electra (1,236 tonnes) was built by Napier & Sons, Glasgow in 1884, and spent its entire career in the Mediterranean Sea, based at Gibraltar. 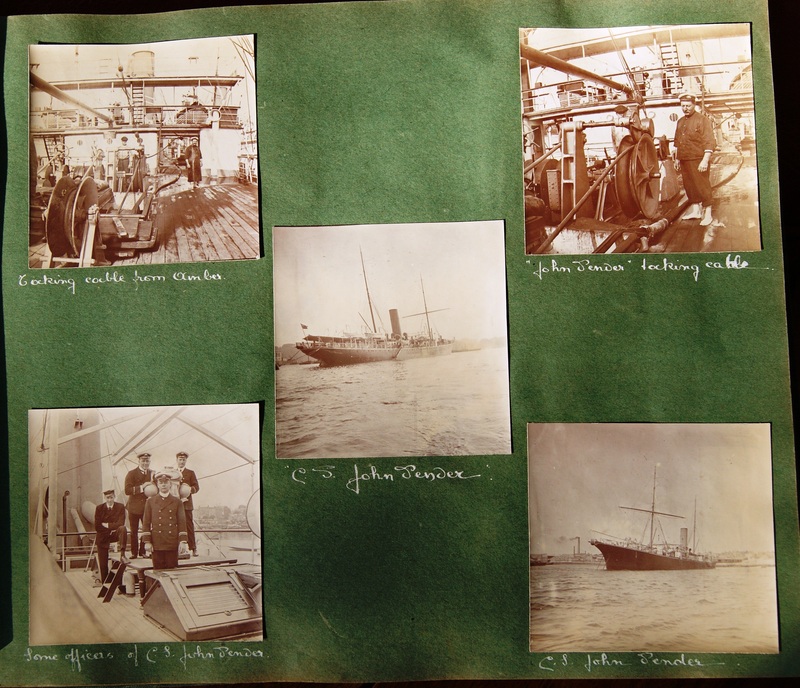 Robert Greey remained in command of Electra until 1901 when he took command of the newly built CS John Pender. At 2,336 tonnes, CS John Pender was a much larger vessel than Robert Greey’s previous commands and was again authorised to fly the Blue Ensign. 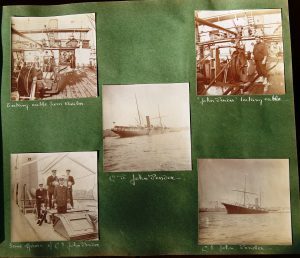 CS John Pender was based at Aden for most of its life and laid cables from Shanghai to Zhifu in China (1900), in the Greek Islands (1901), off the West African coast (1902) and in India (1903). 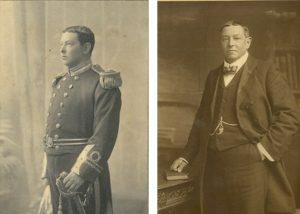 On 17 November 1902, Robert Greey was placed on the RNR Retired List, at his own request, with permission to assume the rank of “Commander in the Royal Naval Reserve”, although he continued in the employment of the Eastern Telegraph Company. Between early 1908 and January 1909, Robert Greey left John Pender to again take command of CS Electra; for the remainder of his service with the Eastern Telegraph Company, he alternated between the two ships, although he was briefly in command of CS Duplex in 1909 and CS Cambria in 1913. At the start of World War 1, Robert Greey was in command of CS John Pender, but in 1915 he returned to CS Electra and was sent to the Dardanelles to lay cables in connection with the Gallipoli campaign. In December 1915, CS Electra was involved in a collision in Salonica harbour, as a result of which her duties were taken over by CS Levant. In his diary of life on board CS Levant in 1915–16, Alfred Spalding relates the story of dining with Commander Greey on board CS Electra at Salonica in December 1915 and praises Greey’s hospitality and the “wonderfully good and risky work in the North Sea before she came up here”. Shortly afterwards, the allies withdrew from Gallipoli and CS Electra returned to Malta for permanent repairs, following which she remained in the Mediterranean, including laying cables off Bizerta in Tunisia. In 1917, Robert Greey resumed command of CS John Pender and returned to England. Robert Greey died suddenly on board CS John Pender in Falmouth harbour in Cornwall on 5 July 1917, aged 60. The cause of death was recorded as “apoplexy and heart failure”. He was buried two days later, with a Naval funeral, at Falmouth Cemetery in grave space K a 32. In July my father was on his way back to Falmouth, and I was hoping he would stay long enough to give me away at our wedding. He had had a long tour in the Mediterranean with many near misses and the dangerous evacuation of the disastrous Gallipoli withdrawal. Then we suddenly got a wire to say that he had collapsed and died on board ship from heart failure. It was a terrible shock to us all, and to me a tragedy as I was devoted to him. We all went down by train to Falmouth and there was a heart-breaking Naval funeral, slow cortege to the cemetery. Apart from the Masonic Roll of Honour, he does not appear to be commemorated elsewhere. He is not listed on the Commonwealth War Graves Commission database. At the time of his death, his address was “Alcazar”, 25 Arundel Road, Eastbourne, Sussex. In his will he appointed his widow as executor, together with Sir Percival Alleyne Nairne and Henry West Fovargue “gentleman”. His estate was valued at £7,343. Henry West Fovargue (1862–1939) served as Town Clerk to the County Borough of Eastbourne for nearly 50 years, from 1890 until his death; although Henry Fovargue was not a Freemason himself, his son Reginald West Fovargue (1892–1968) was initiated into Hartington Lodge in December 1919. Robert’s widow, Antoinette died at Mechelen in Belgium on 8 July 1942. The couple’s three daughters all married and died between 1976 and 1982. 1. Robert’s daughter Gertrude believed that he worked briefly in the Sudan during his time with the “Egyptian Civil Service” in 1878/79. This was during the time of the “troubles”, i.e. the so-called “Mahdist Revolt”. Thanks to Robert Greey’s great-grandson, Bob Fuller, for the family memoirs and for finding the entry in the Falmouth Burial Register. Thanks also to Richard E. Weber for permission to use content from The Sprague Project. Martine Janssen for permission to use the portraits of Robert and Antoinette, and the photograph of the wedding gift from the crew of CS Amber. Bob Watkins for the photographs of life on board the CS John Pender.